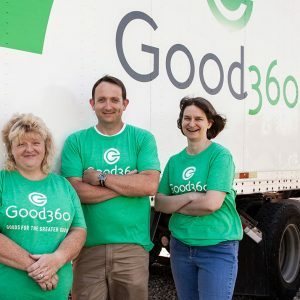 Good360 offers you the chance to change the world by joining a team of committed professionals who use their talents to help companies, nonprofits and individuals come together to do good, better. We seek talented and ambitious individuals who can help us deliver impact for our nonprofit and corporate partners every single day, allowing us to help people in need around the world. Leadership — We have the courage to challenge and build a better world. Integrity — Our approach is honest and transparent. Respect — We value the ideas and opinions of everyone. Passion — We believe with our hearts and minds in what we do. Accountability — We are accountable for our performance and our results. 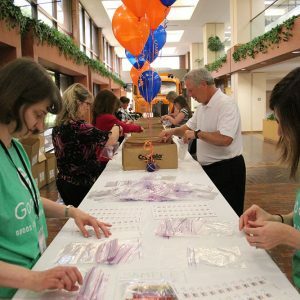 Collaboration — We leverage the collective talent of our staff and our partners. Innovation — We think outside the box and take risks. Quality — What we do, we do best. If we have current job openings, they are listed below.